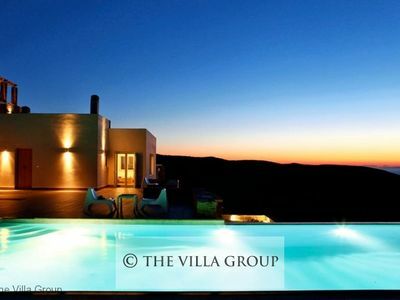 This beautiful villa located on the Island of Kea is situated only 150 meters from the seafront offering amazing views of the sea and beautiful sunsets. 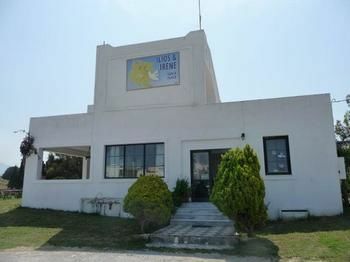 This villa offers you accommodation in the form of the main house and the attached studio. Upon entering the main house you will find the entrance hall leading the way to the spacious living and kitchen area. The living area is beautifully furnished with a white corner sofa, coffee table and fireplace. The large window offers amazing views of the sea. For entertainment you will find a large flat screen TV with limited satellite channels, DVD player and CD player. 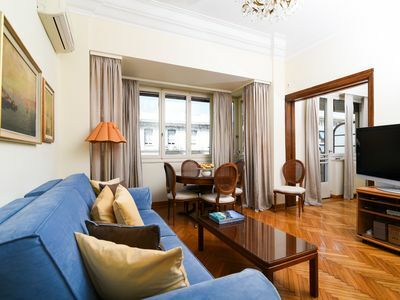 Furthermore this villa offers the luxury of free wireless internet connection. The modern fully equipped kitchen features fridge/freezer, cooker, toaster, coffee machine, blender, dishwasher and espresso maker. 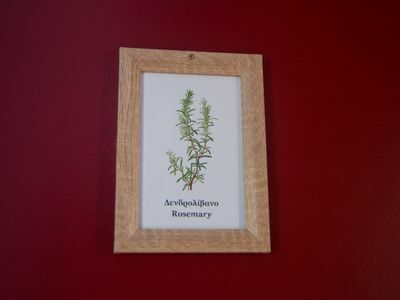 From the kitchen you can access the veranda outside offering a pergola. A separate WC can also be found on this level. From this level you can access the outdoor area featuring the swimming pool and patio area. A staircase leads the way down to the garden level of this villa. Here you will find the first 3 bedrooms of the villa. The master bedroom features a double bed, ceiling fan and a flat screen TV. 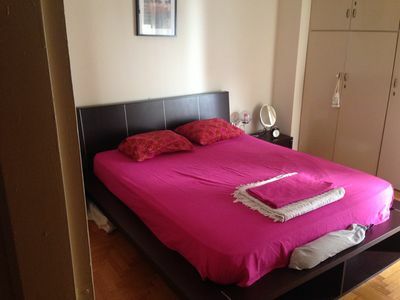 This bedroom also offers the luxury of an en suite bathroom. The remaining 2 bedrooms of the main house are a double bedroom and a twin bedroom sharing access to a shower room. The twin bedroom also offers a ceiling fan. 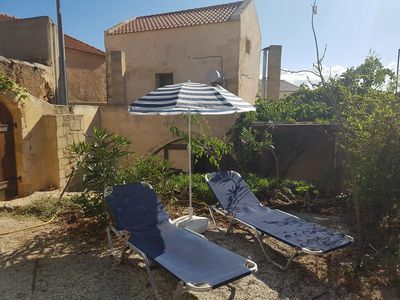 Further on the garden level of the villa you will find a sitting room as well as a small laundry room, where you will find a washing machine, iron and ironing board. All of the bedrooms on this level have stunning views of the sea and also direct access to a spacious terrace and the garden featuring a pergola and plenty of outdoor furniture. Attached to the main house is the studio featuring a double bed and 2 single beds. Here you will also find a small kitchenette with a fridge and a small storage room. Further available is a shower room. From the studio you have access to a spacious terrace outdoors on the garden level. In the studio you will also find 2 ceiling fans. There is private parking available for up to 2 cars underneath a pergola next to the main house entrance. The outdoor area on the garden level features pebble garden with Cycladic aromatic plants such as oregano and thyme. Here you will also find a terrace offering the perfect location to relax during the day. Stone built stairs or smooth garden paths lead the way to the upper level of the garden, where you will find the 5.5m x 11m overflow pool offering you fantastic views of the sea. The swimming pool is surrounded by a paved patio area equipped with plenty of sun bathing furniture offering you the perfect opportunity to enjoy a lazy day in the sun. Furthermore you will find a pool side shower with a hot water facility. Pergolas cover the terraces equipped with plenty of garden furniture which combined with the barbecue allow for you to enjoy the experience of outdoor dining. 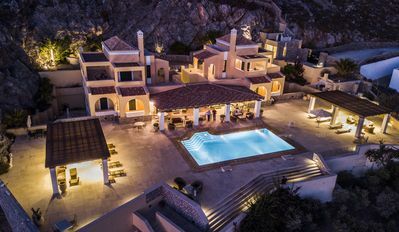 For the smaller members of the family this villa also offers plenty of outdoor kids activity games such as seesaws, play house, cars, tricycles and plenty more.